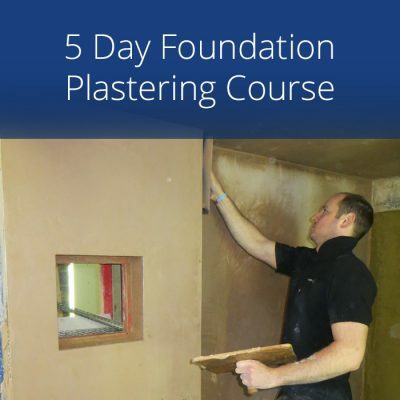 Our 4 day weekend plastering course is split over two weekend and consists of 4 days practical in-house training, taking place at our training centre near Fareham and will teach you all the foundation skills of plastering. The principles of plastering will be taught in a hands on fashion. 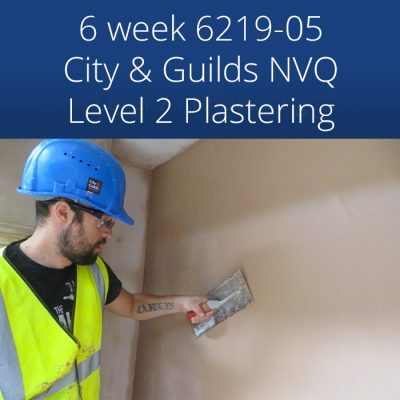 The course is entirely workshop based under the guidance of our City and Guilds qualified plastering instructors who will ensure that you complete your training with the confidence to tackle your required plastering jobs. This course is an ideal taster for anyone considering a career in Plastering or for enthusiastic DIY’ers. 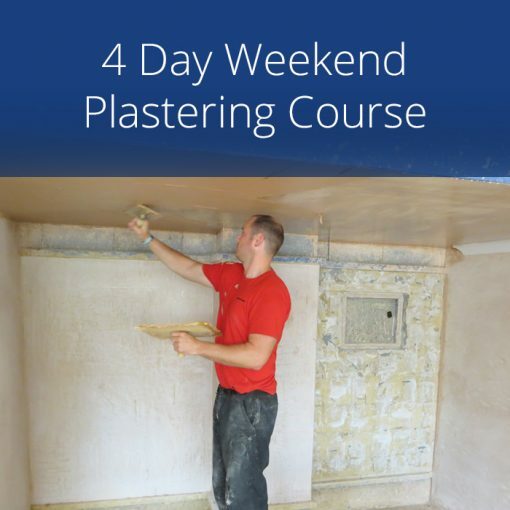 Our 4 Day Plastering Courses are suitable for those with little or no plastering experience. Silver Trowel HQ, Glorious G6, Daedalus Park, Daedalus Drive, Lee on the Solent, Hampshire, PO13 9FX. I have ended up much better at plastering than I thought and the trainers went out of their way to help and support us. There were loads of materials and tools and the course covered lots of different areas. A really good course, the trainers are excellent and I would recommend it to anyone who wants to learn plastering. The trainers performance was excellent I doubt very much that you will find better quality training facilities or professionalism in the course delivery anywhere in the UK. I will be back for more. 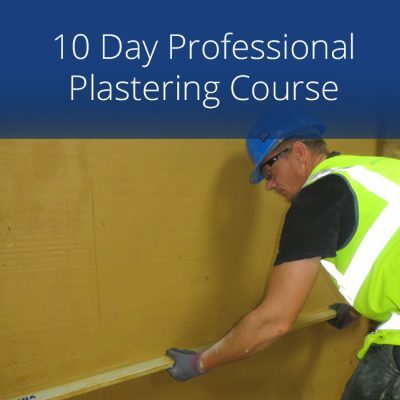 This 4 day plastering training course was great value for the money. 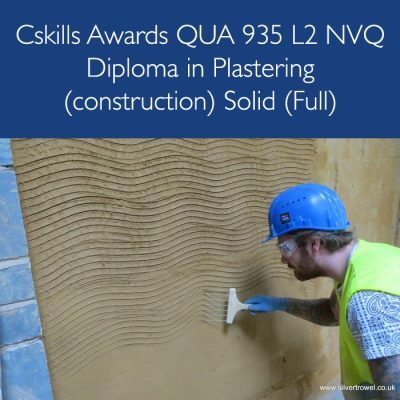 I would recommend The Silver Trowel Training company to others and plan to extend my course so as i can achieve my NVQ Level 2 in plaster. The training here has surpassed my expectations. Friendly trainers and staff a great place to spend a couple of weekends learning new skills. I will be back for further courses and would recommend others to train with the Silver Trowel team. Thanks guys & Girls. As a plumber by trade I wanted to expand my trade offering to my customers. Great value for money. I am back soon for the tiling course too. So pleased that I chose to train at the Silver Trowel Construction Skills Training Academy. Enjoyed the course very much, feel more confident to go out to jobs and put my skills into practice. Colin is a great instructor who made learning fun. The course exceeded my expectations, excellent value for money and Colin was fantastic helping every step of the way. Thank you for making it fun and interesting and helping me to advance and feel confident . I did this plastering course to aid with my home improvements as I am a qualified bricklaying After completing this 4 days of training I am very confident with my plastering skills. Thank you to the instructors for all their help. An excellent course which was great value I am very pleased with my new plastering skills and after only 4 days intensive training. I will be attending further courses and would recommend Silver Trowel to any one looking for the best quality training provider..
Great plastering course. Well worth the time and effort.. My employer will be pleased with my abilities also..
Definitely feel that I have learned a new skill that I will use professionally. Colin really knows his trade.. I would highly recommend Silver Trowel for the quality of their training and training facilities. Back for more soon.. I finished this course in April 2016 I really enjoyed the course and feel that I have learnt more than expected in just 4 days…. I attended this course as part of my retraining plans. I would like to continue with the City and Guilds qualification. I would recommend Silver Trowel to others. This plastering course was great value for the money. The pace of teaching was set just right. Good instruction from the trainers.. I attended the plastering course to learn “NEW SKILLS” With the help of Colin and Chris the instructors I did just that! The trainers performed very well I learned exactly what I needed to know.. I really enjoyed the plastering course with Silver Trowel I did not think I would learn as much as I did in just 4 days.. So I am very happy knowing that I can now carry out my home projects.. Thanks guys.. The trainers knew what to do to get the whole group up to speed with the various tasks. I hope to attend one of Silver Trowels City and Guilds courses in the future. The trainers performance was exceptional I was recommended to attend the course by my brother. I would also recommend this plastering course to others.. This was a very well constructed plastering course. It was a great introduction to the skills needed. I would recommend it to others for home projects. The trainers Colin and Chris are so helpful and informative. I have already signed up for the 5 week City and Guilds course based on what I have experienced already. Thanks Team Silver Trowel See you guys soon. Colin and Chris make the course a real pleasure. A perfect working pace and it really is surprising how much you can pick up over the 4 days. After completing this course, I have moved onto the 5 week course, without hesitation to recommend.